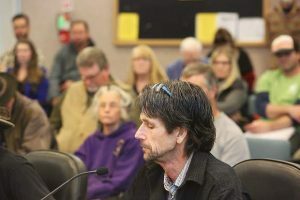 A citizen’s marijuana committee could find no agreement on whether to allow outdoor residential grows of under an acre or decide on property line setbacks, punting those issues to the Nevada County Board of Supervisors. The board for the first time Tuesday will formally receive recommendations created by the community advisory group. Supervisors are expected to take no action, other than accept the report, call the citizen’s process complete and dissolve the panel. The ordinance, once written by county counsel, must first reach the planning commission before proceeding to supervisors for approval. Initially planning for passage in March, county officials have said they’ll likely miss that deadline. The citizens’ panel, given the task of creating recommendations for the ordinance, worked over seven months toward reaching agreement on several aspects of marijuana cultivation and commercial activity. 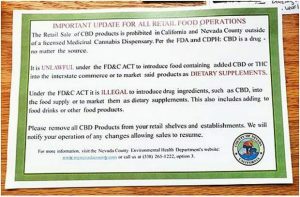 They succeeded in many aspects, like allowing outdoor specialty cottage and specialty commercial licenses in general agriculture, exclusive agriculture, residential agriculture and forest zones, if parcel size conditions are met. Recommendations call for allowing no garden over 10,000 square feet. The citizen’s group could reach no agreement on whether the county should prohibit outdoor grows on residential parcels smaller than an acre. It also couldn’t agree on property line setbacks for commercial gardens, as well as setbacks from schools, parks, child care centers and youth centers.